I titled this post One Older Gentlemen because the story is about an older gentlemen, age 63, who had traveled through life and still financially unsuccessful. But the picture I chose is not the gentlemen in the story. He’s one of my favorite actors. Maybe I’ll write a post about him later for black history. 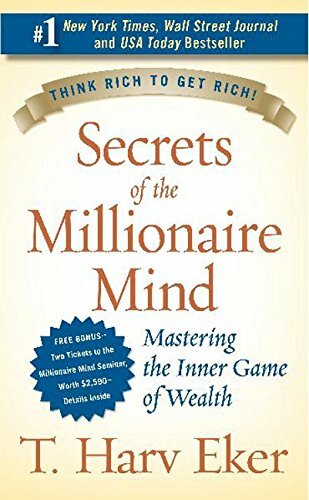 In the book Secrets of the Millionaire Mind, Harv talks about an older gentlemen who had attended one of his seminars in Orlando. As people lined up to get his autograph, Harv noticed an older gentlemen who could barely catch his breath because he was sobbing. What's my point for this story? What are you thinking? What goes through your mind throughout the day? Are your thoughts positive about your future, family, financial status; or have your thoughts been negative because of what’s happening in your life right now? Let’s get back to thinking and acting positively about ourselves, and take control of our lives. We were created for success, our minds have deceived us in to thinking that success is just a myth. Don’t believe the hype because God don’t make junk! In the meantime, if you’d like to read the story for yourself, get the book. The story starts on page 28.